Dutch visual artist Theo Jansen studied science at the University of Delft. He spent his early career painting, before deciding to strike out on a new course by making a real flying saucer which flew over Delft in 1980. 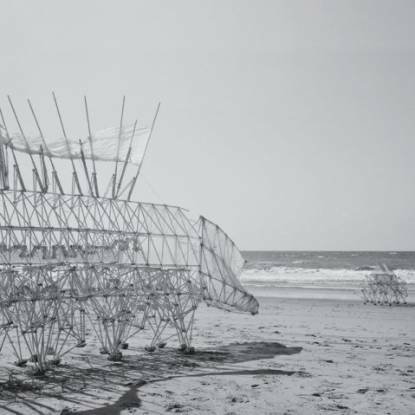 Since then he has been working on the creation of the Strandbeest species. Jansen’s work has been featured in several television programs, as well as in The New Yorker, New Scientist, and Wired.